NWA Democrat-Gazette/DAVID GOTTSCHALK Work continues Monday, August 6, 2018, on the installation of the Wild Band of Razorbacks monument on the northeast corner of Donald W. Reynolds Razorback Stadium in Fayetteville. 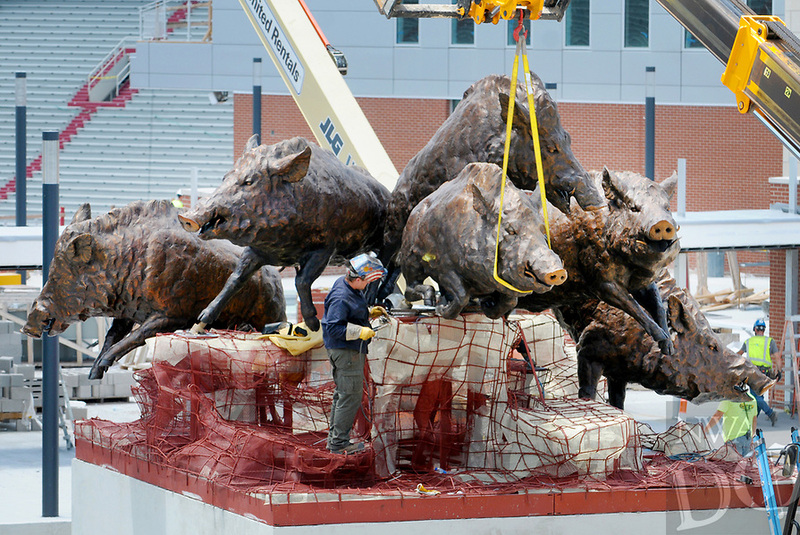 The bronze monument consists of six Razorbacks in tribute to the University’s 1964 national championship. The full monument will be approximately 20 feet high and 30 feet wide, with bronze Razorback hogs six feet tall and 12 to 14 feet long.